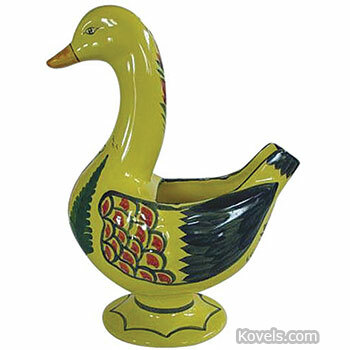 Quimper pottery has a long history. 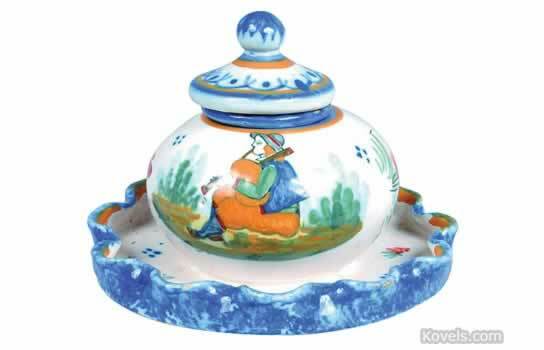 Tin-glazed, hand-painted pottery has been made in Quimper, France, since the late seventeenth century. 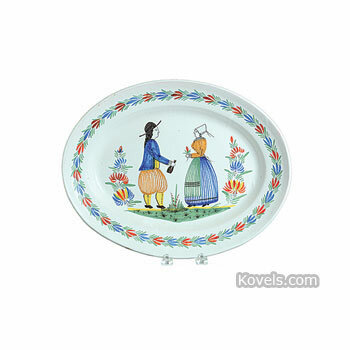 The earliest firm, founded in 1685 by Jean Baptiste Bousquet, was known as HB Quimper. Another firm, founded in 1772 by Francois Eloury, was known as Porquier. 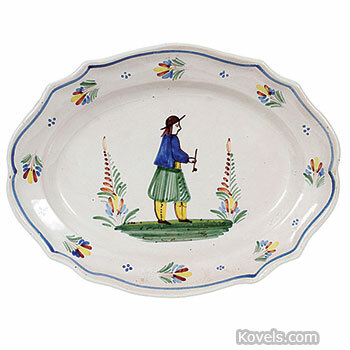 The third firm, founded by Guillaume Dumaine in 1778, was known as HR or Henriot Quimper. 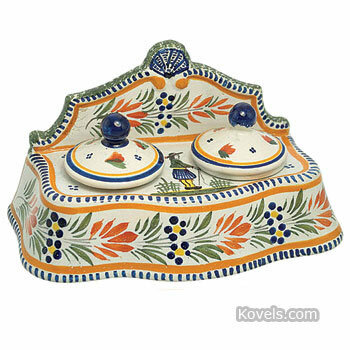 All three firms made similar pottery decorated with designs of Breton peasants and sea and flower motifs. The Eloury (Porquier) and Dumaine (Henriot) firms merged in 1913. Bousquet (HB) merged with the others in 1968. The group was sold to a United States family in 1984. More changes followed, and in 2011 Jean-Pierre Le Goff became the owner and the name was changed to Henriot-Quimper. The French firm has been called Societe Nouvelle des Faienceries de Quimper HB Henriot since March 1984. 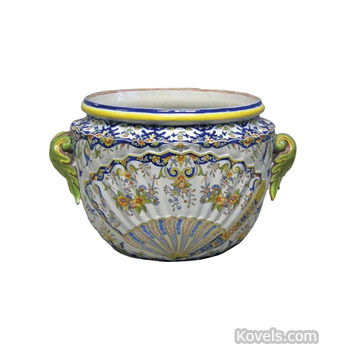 Pottery was made in Quimper when the city was part of the Roman Empire, long before tin-glazed pottery was being made.